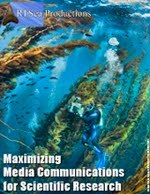 In November of last year, I covered the impending release of theBlu.com, an intriguing interactive concept that combined the talents of leading digital artists with major ocean conservation groups to provide an online showcase for the public to both view the wide range of beauty and diversity in the oceans and generate needed support for conservation. At the time, it was to be released online within a few weeks. As is often the case with many new and ground-breaking ventures, time schedules can be fickle things. So, while several weeks turned into several months, theBlu.com has now finally been launched amidst some interesting video fanfare publicity. Today, in Times Square, New York City, a five-minute sample of theBlu is being displayed every 30 minutes on the NASDAQ and Thomas Reuter video screens from 5:00 until 11:00pm. For those of you who don't happen to be wandering the streets of the Big Apple at that moment, you can download from theBlu.com's website their screensaver app or get a promotional discount on the pro version software. You can read my November post on theBlu to learn more about it. 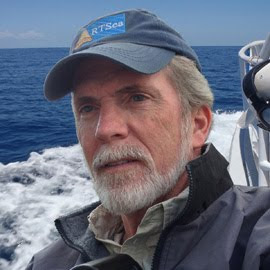 It is working in collaboration with major ocean conservation groups like Dr. Sylvia Earle's Mission Blue, Ocean Elders, Oceanic Preservation Society, Scripps Institution of Oceanography, and WildAid. A press release was distributed today and here a few excerpts followed by a video clip. Definitely worth checking out. Wemo Media, the Venice, CA-based entertainment studio, today announced the launch of "theBlu," possibly the largest globally shared art and entertainment experience ever created. Inspired by the world's oceans, "theBlu" is a living and breathing digital art exhibit of ocean habitats and species, created by artists and developers from all over the world. This social exploring experience is currently available as a downloadable app for PC and Macintosh computers at theblu.com. 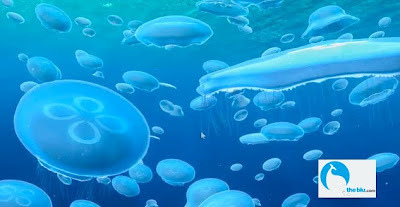 "theBlu" turns the Internet into a globally-connected 3D digital ocean wherein every species and habitat is an original work of art created by a worldwide community of artists, animators and developers, including Academy Award(R) winners Andy Jones and Kevin Mack, and students alike. Exploring "theBlu" is as easy as browsing the web and includes information about species, exploration of geo-located habitats, in-ocean tagging of fish, the purchase of species to grow your collection and customize your experience, social activity streams, event and photo sharing, and ocean life swimming from user to user across the Internet, creating real-time social interaction. How it works: Participating non-profit collaborators sponsor "ambassador" species or habitats in "theBlu" and users of "theBlu" are offered the opportunity to purchase these "ambassador" species or habitats for their virtual ocean environment. Twenty-five percent (25%) of the purchase price of these virtual species or habitats goes directly to the non-profit collaborators to fund projects that support their work in the real ocean environment. The program is also designed to increase awareness and reach for collaborating organizations and their conservation efforts. 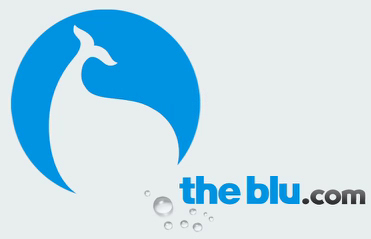 Users of "theBlu" have the opportunity to effect real change for the world ocean.